Tradition is, and will always be, filmmaking's biggest hurdle. For eons, 35mm film was the format of choice if you were shooting a movie worth a damn. It looked perfect. No one would begrudge a director using Super 16, but 35 was where it was at. Then came digital cameras, which quickly paved the way for myriad new options, in turn provoking cries of cinematic extinction and shaping the standard aesthetic for indie and Hollywood filmmakers alike. What we rarely see is people taking a chance on the non-traditional, filmmakers finding an unusual camera, lens or film stock that makes sense for their particular story. This weekend's “Getaway” is not a good movie, but it boldly gambles on the emerging technology of the action camera. Small video cameras like the GoPro can be locked on to moving objects to capture sights impossible of more traditional tools. In “Getaway,” director Courtney Solomon outfits a hot rod with these tiny pieces of film tech in hopes of tapping into a new, visceral type of action photography. Regardless of this particular film's success, there's something remarkable about a prosumer piece of equipment being utilized for big screen storytelling at the studio level. When a filmmaker takes a leap on a new type of camera, it often opens doors for new types of experiences worth our attention. Here are a few examples from the past that have startled audiences into seeing things differently. Anthony Dod Mantle's work on the first Dogme 95 film “The Celebration” was a landmark moment in digital cinematography. The lo-fi quality of the Sony handycam used for production was jarring compared to the standard image, yet the home movie aesthetic was a perfect fit for Thomas Vinterberg's raw storytelling. The consumer-level camera gave Mantle unprecedented agility and it would go on to inspire Danny Boyle's era of digital filmmaking (Mantle won an Oscar for his work on “Slumdog Millionaire”). The feat of shooting on the PC-7E isn't all that astounding until you see the dang thing. Mantle ran around like the worst kind of tourist, shooting the action. That's a bullet to bite when you're a professional. Before IMAX, there was Cinemiracle. 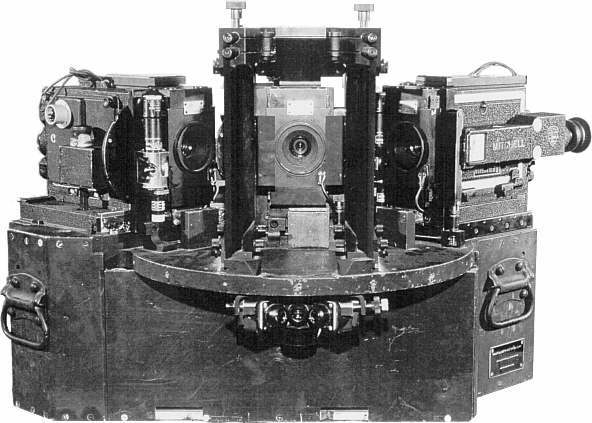 The 600-pound camera consisted of three bodies — one shooting traditionally at a subject and two cameras shooting into mirrors, theoretically capturing the complete panoramic image. Each body used a Kodak 27mm lens, shooting as wide a frame as possible without capturing bits of the camera. Only one movie was ever shot on the cumbersome format: “Windjammer,” a 1958 documentary about the voyage of the full-rigged ship, the Christian Radichi. As one might expect, it took three projectors to lay the image out on to a 120-degree curved screen. Realizing that it might not be worth all the time and trouble, Cinemiracle was subsequently lambasted by critics and buried in film history. To achieve an archaic look for his '80s-set nerd drama, director Andrew Bujalski and DP Matthias Grunsky went straight to the source of the period's aesthetic: tube video cameras. With the help of eBay and private collectors, the duo dug up three old Sony cameras from the late '60s. It was a risk; If something broke down, they were doomed. 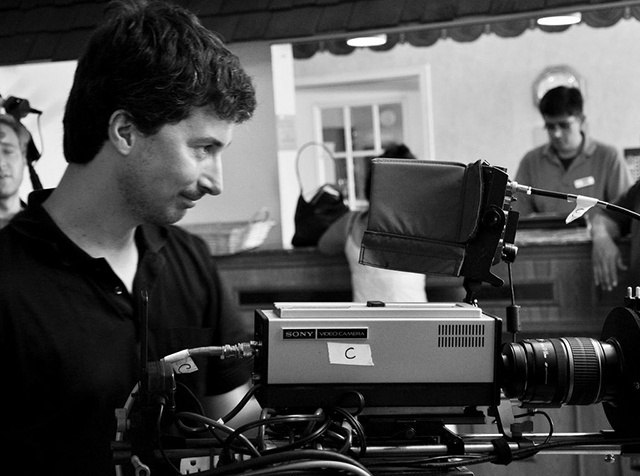 When they started shooting with the camera, a number of additions to the workflow had to be made, just so the footage could be viewed, played back, and shipped off to an editor. They were not cameras meant for a 2011 film production, but that was the appeal. Much like their DIY, apocalyptic, romantic drama, director Evan Glodell and the team behind “Bellflower” constructed their own rig. The body is assembled from SI-2K digital cinema and a giant 4x5 imaging plate — giving it a capturing resolution about 16 times bigger than a 35mm frame. "This camera does things that no other camera on the planet can do," Glodell told Co.Design. "It can do tilt-shift effects with any lens. It can make a Steadicam shot from five feet away look like a telephoto shot from 100 feet away. It's like looking out of a whale's eye." “'The Fountain' was shot on film and the material for 'Tree of Life' was on a RED. We have built a system that can take any camera, from large format IMAX 15/70 [Ed. Note: this is a reference to standard, 15-perf IMAX film] cameras to stills cameras. We put our work into the optics that sits on the front of the cameras, or more accurately, that the cameras are bolted to the back of! The system uses a combination of 150 year old microscope elements and modern optics. The imagery for those two films was all less than an inch across and in most cases was less than 1/4 inch. Using such small volumes of liquids gives us a large degree of control over what we are doing, although it is often the mistakes and the unforeseen that creates the magic, and is always at the heart of the organic feel that we strive to achieve." A long search during pre-production on the historical drama lead Kubrick to the Carl Zeiss Plana, a lens with a 50mm length and 0.7 aperture (read: your auto-aperture on a cloudy day might be 4, so this puppy was letting all lots of light in). 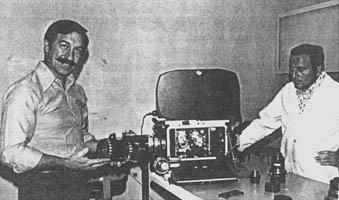 The first reaction from the director's camera team was, unsurprisingly, “impossible.” With enough pushing from Kubrick, and enough tinkering with adapters, the camera department found a way to rig the NASA lens to a traditional film camera, allowing “Barry Lyndon” to shoot with natural candle light (which is also rare — the candles you see in movies are specially designed to burn brighter). If anyone is going to make an iPhone short film, there are worse options than Park Chan-wook. “Night Fishing” was a full scale production: Lights, costumes, makeup, monitors — the works. The twist was the camera was a dinky iPhone. Chan-wook strapped a few lens modifiers on to his smart phone camera to enhance the image, but the image capturing is all done with the same technology that snaps run-of-the-mill Instagrams. Even less so than today's model — this was an iPhone 4.
iPhone cinematography is an emerging art. It saved documentarian Malik Bendjelloul during his shoot on the Oscar-winning film “Searching for Sugarman.” Bendjelloul started filming the music doc on Super 8. When that became impractical and expensive two-thirds of the way into shooting — no one thought it would? — the director turned to the iPhone app “8mm Vintage Camera.” The footage looked nearly identical to what he had previously shot. So he went with it.